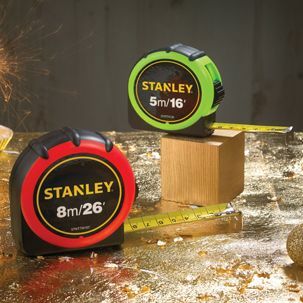 Stanley 8m (26ft) Tape Measure available in hi-vis green or orange. 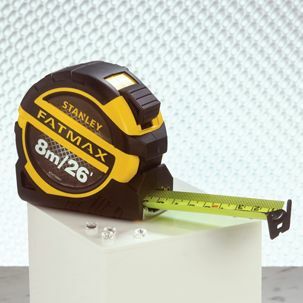 The tapes are compact and are impact resistant. The blades have a polymer coating for long life, and the tapes feature a belt clip for easy storage.